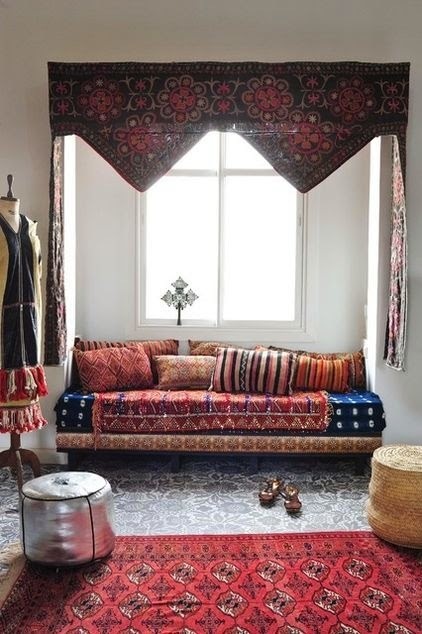 This is so beautifully exotic, bohemian and interesting. A dream room for me. via houzz.